Shortly after noon the RAF's 602 (City of Glasgow) Squadron - codename "Villa" - led that day by Flt Lt 'Mickey' Mount, was scrambled to patrol over the Kent coast. From their altitude of 27,000ft – keeping just too low to leave contrails – they saw about 50 Messerschmitt Bf 109 fighter-bombers coming in over the coast. 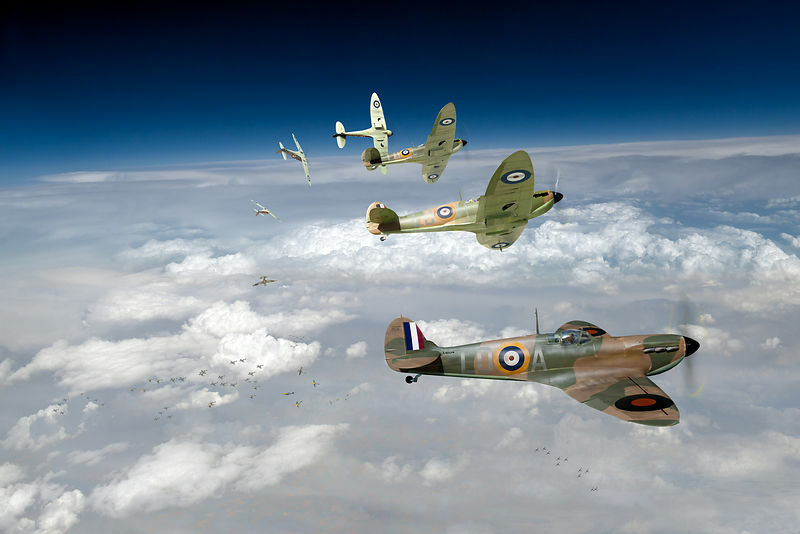 The dozen Spitfires of 602 swooped in pairs out of the sun, scattering the raiders, before returning to Westhampnett in triumph. This picture formed a double page spread in the March 2016 issue of Britain at War magazine.